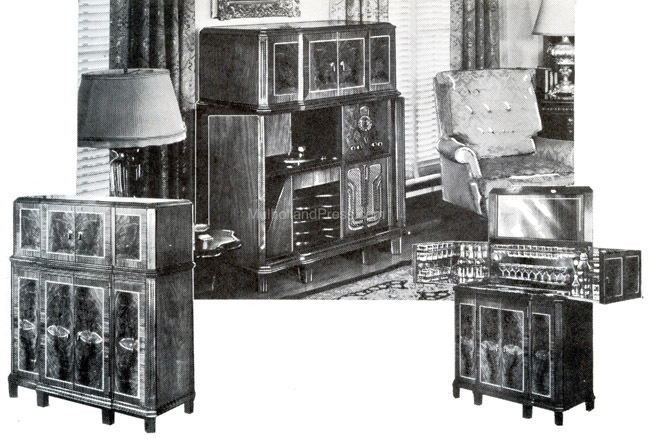 The style 550 was the largest and most expensive of the Philco Radiobars. It cost $895 and was provided with the model 116 radio (1936) or the model 37-675 the following year. It featured a record changer and bar service for twelve. The cabinet was 49 1/4” high, 42 3/4” wide and 19 3/4” deep closed. In open position the cabinet was 66” high and 74 1/2” wide.